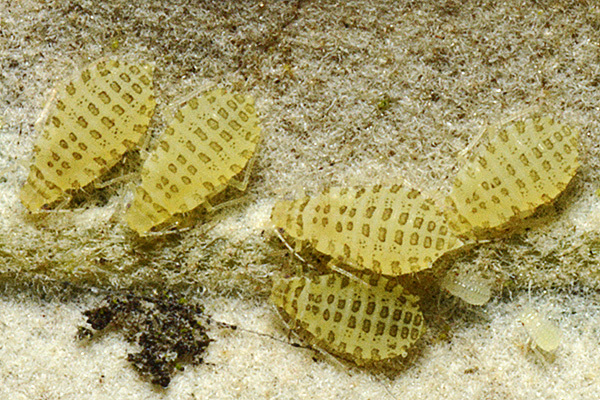 Immature Hoplocallis picta (see second picture above) are broader and flatter than adult alates and have four longitudinal rows of pale-centred brown sclerites bearing clusters of hairs. The micrographs below show dorso-lateral views of an adult alate and an immature in alcohol. Hoplocallis picta was first reported on oak in Britain in July 2006, when small numbers were observed feeding on the leaf undersides of three young Quercus ilex in Cardiff Bay, Wales (Baker, 2009). Their populations persisted at very low levels sharing the habitat with Myzocallis schreiberi. Hoplocallis picta was otherwise only known in the UK from a handful of (sadly unpublished) suction trap records from southern England (Richard Harrington, pers. comm. to Ed Baker). In April 2015 we found this species in small numbers on a lone very large holm oak at Ringmer in East Sussex, as in Wales sharing the habitat with Myzocallis schreiberi. In March 2016 we found much greater numbers of immature and alate Hoplocallis picta in the same location as in the previous year (see pictures above and below). There do not appear to be any detailed studies of the ecology of the painted holm oak aphid, although various authors have noted its occurrence. Pons et al. (2006) monitored numbers on holm oak in urban green spaces in France and found that numbers peaked in April and May. Paris et al. 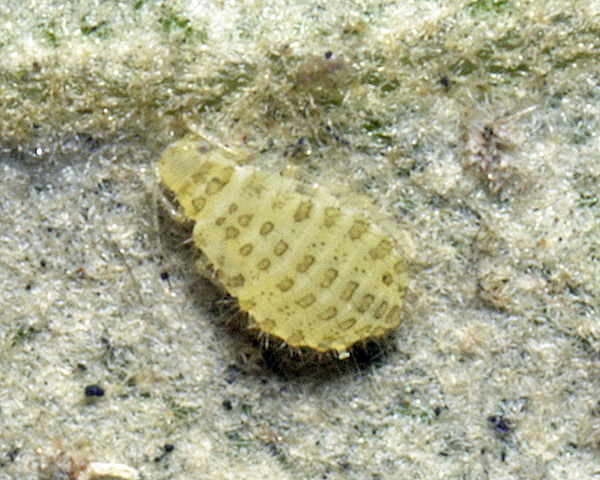 (2009) noted the aphid was only found in May and occasionally in July and August. Paris et al. (2009) studied honeydew collection and predation by the ants Lasius neglectus and Lasius grandis on Quercus ilex in Spain. 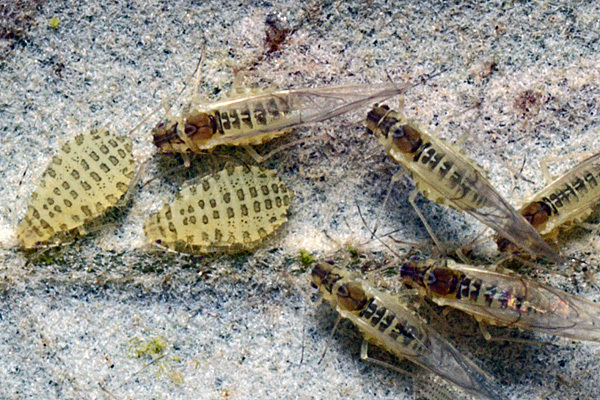 Hoplocallis picta was rarely tended for honeydew, but was often predated, along with barkflies (Psocoptera) with which it cohabits (see picture above). Mifsud et al. (2009) report that Hoplocallis picta, Myzocallis schreiberi and Thelaxes suberi are frequent on Quercus ilex in the Maltese Islands, and often occur concurrently. Hoplocallis picta has been recorded from 13 Quercus species. Of the 34 species on common or pedunculate oak (Quercus robur), Baker (2015) lists 14 as occurring in Britain: Hoplocallis picta, Lachnus longirostris, Lachnus roboris, Moritziella corticalis, Myzocallis boerneri, Myzocallis castanicola, Phylloxera glabra, Stomaphis quercus, Thelaxes dryophila, Thelaxes suberi, Tuberculatus annulatus, Tuberculatus borealis, Tuberculatus neglectus and Tuberculatus querceus. Melia et al. (1993) noted that the existence of aphids in the oak forests of Córdoba in Spain was not new, but the population levels were usually so low that they never bothered forestry officials. However, an unusually large outbreak of aphids on oak occurred in spring 1992. 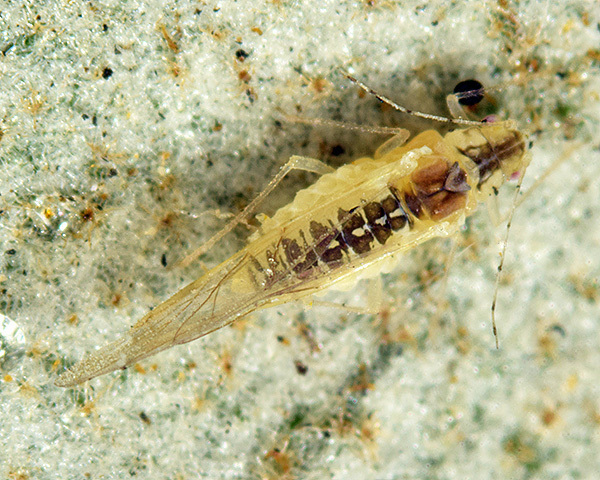 The aphids Hoplocallis picta, Thelaxes suberi, Lachnus roboris and Myzocallis komareki were all present, with Hoplocallis being the most widespread, abundant and severe. In early April and May the situation was getting worse, and trees were dripping with honeydew. 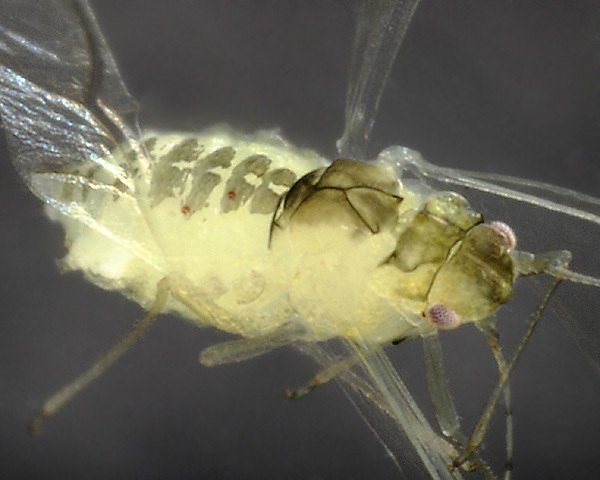 The aphid population increased greatly, apparently with no parasites and predators controlling it. 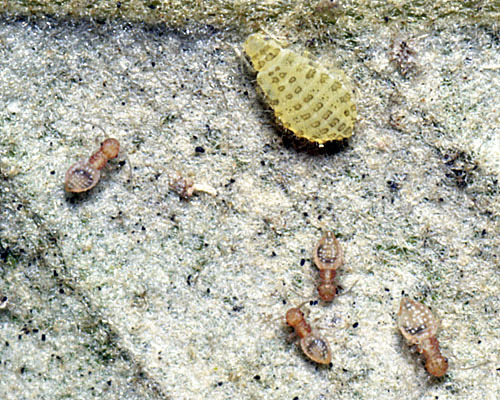 One parasitoid species was present (Trioxys curvicaudus), but few mummies were found, and it was concluded that parasitism was unimportant in controlling numbers. 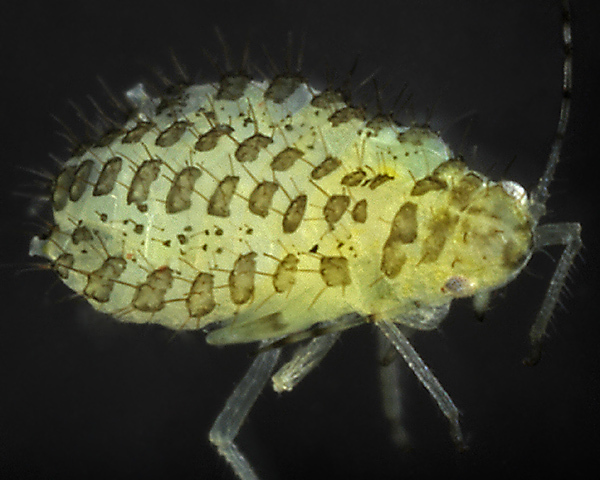 Given the seriousness of the situation and inexperience in forest aphid control, it was decided to try out several methods. From the beginning selective aphicides were discarded on the grounds of cost. Instead they focused on cheap products used against defoliating caterpillars, namely malathion and pyrethrins applied both as liquid ULV and by dusting. Malathion appeared quite effective however it was applied, whilst pyrethrins were ineffective. One can only hope that such wide scale application of broad spectrum and/or residual (in the case of malathion) insecticides would no longer be considered acceptable on environmental grounds.